1. Eliminating skepticism and mistrust . 2. Using Aha!s that deliver value multiplying Friction-Free Influencing insights. Influencers who use self-persuasion to help their clients convince themselves consistently outsell their traditionally-trained counterparts. Why? Buyers don't argue with their own reasons. When influencers eliminate resistance using the Aha! Friction-Free Influencing process, they remove the biggest barrier that stands between them and the ultimate sale. 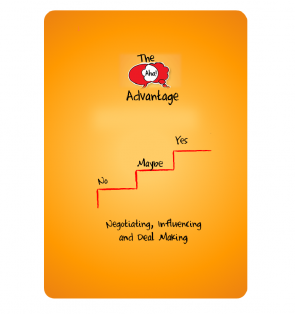 "One of the great secrets of sales is that the best way to persuade others is to let them persuade themselves. 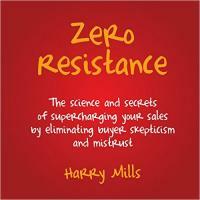 In this fun, practical book, Harry Mills shows us how." Adam Grant, Wharton professor and New York Times bestselling author of ORIGINALS and GIVE AND TAKE. 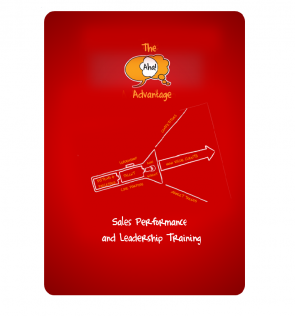 "A must read for CEO's, sales leaders and all front lines sales staff." Alistair Davis, CEO and Managing Director, Toyota New Zealand"
"Think you know what makes your messages persuasive? Think again. 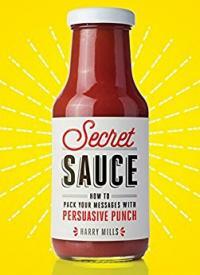 Harry Mills easy-to-use SAUCE test shows us how to estimate the persuasive impact of a marketing or sales message. He then backs that up with the practical tips you need to transform unconvincing copy into messages that grab attention and engage both head and heart"
Jonah Berger, Wharton Professor and bestselling author of CONTAGIOUS and INVISIBLE INFLUENCE.